For budget minded but don't want to sacrifice quality this 8" pocket coil spring is at the heart of our Ultimate Hybrid pocket coil/latex design. 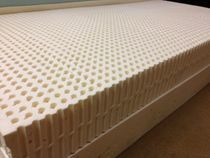 If you are looking to put together your own designed DIY mattress this is definitely a must for any spring based design. With over 1400 individually wrapped coils in King size there is simply no better spring system on the planet. 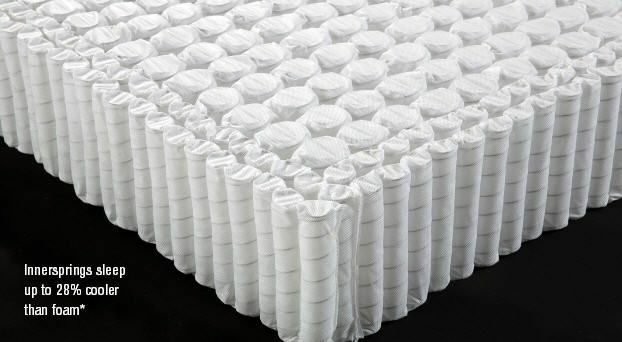 With a pocket coil spring like this you could put together a mattress similar to the Simmons BeautyRest Black Edition which sells for around 5 grand in King size for less than $1500 and still have a better bed if using latex instead of polyfoam or memory foam. Just one example of the endless possibilities for design with this as the starting point. Quantum ® Edge Steel Perimeter features revolutionary, narrow- diameter Quantum coils that form a perimeter around the mattress, providing comfortable support all the way to the edge of the bed. • Exclusive Fine Wire Technology ™ by Leggett & Platt creates a low-diameter wire that achieves an unprecedented level of comfort and support. • There are actually 3 wire gauges in the QE Combi-Zone®. 16g narrow diameter perimeter coils. 17g narrow diameter coils through center 1/3 and 14g larger diameter coils on both sides of center 1/3. More working wire flexes, responds, and supports all body types, weights, and shapes. • The steel perimeter offered by Quantum Edge provides better support than foam, reducing the feeling of roll-off at the edge of the bed. The Combi-zone spring unit is compatible with adjustable bases and is 8" tall. Coil count is 1414 for King, 1384 Cal. King, 1130 Queen, 1034 Full, and 772 TwinXL. 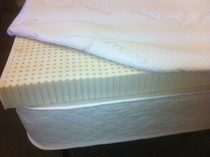 Just add a nice cover and the topper or toppers of your choice and you have the Ultimate Hybrid DIY mattress. 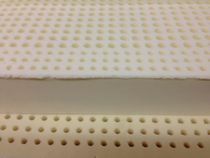 We make covers to fit any design up to 15" and of course a variety of latex toppers for the Do-It-Yourselfers. This item is compressed and roll packed for easy shipping. After unpacking just shake out the springs to return them to standard bedding size.